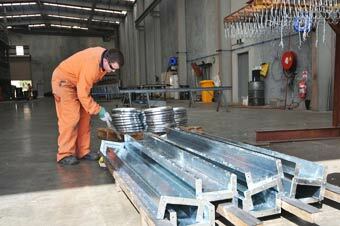 Adelaide Galvanising Industries Pty Ltd offers the service of Hot Dip Galvanising. Our current kettle size is 9500mm (L) x 1300mm (W) x 2800mm (D). 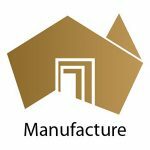 Standard of Galvanising is to Australian and New Zealand Specifications – AS/NZS 4680:2006 (see GAA Standards for more information). 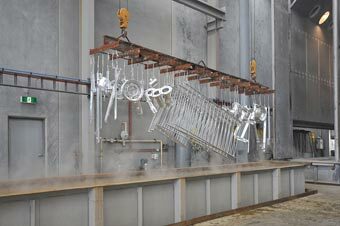 That is total immersion in order to prevent and or minimise corrosion. 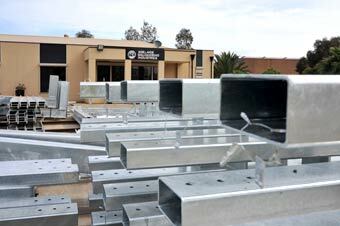 Goods received can be packed and despatched as per the customer requirements. Most Items can be processed and despatched within 2 working days. (Please note we have annual maintenance shutdown between Christmas and New Year, so contact to discuss your individual requirements.) Large consignments can be negotiated. 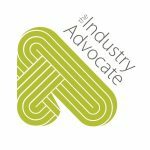 Adelaide Galvanising Industries is proud to support The Industry Advocate’s SA product Register.